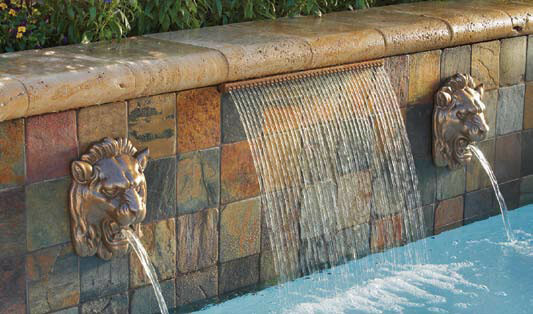 Add beauty, intrigue and tranquility of falling water to your poolscape with a MagicFalls® water effect and transform your pool into a romantic oasis, a playful family water park, or a breathtaking focal point. One of the most popular accessories in today’s backyard retreats, the many options allow you to integrate these mesmerizing water effects in either dramatic or subtle ways that transform any pool environment from great to spectacular. See the MagicFalls Water Effects in Action!